• PLOT SUMMARY: SALVAGE: Part 5 of 5 - The climactic finale of 'Salvage' is here! 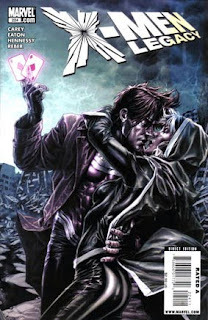 Rogue and Gambit fans, DO NOT MISS THIS ISSUE! The status quo is shaken and the effects of the final reckoning between Danger and Xavier are felt! Written by MIKE CAREY. Art by SCOT EATON. Cover by LEE BERMEJO.